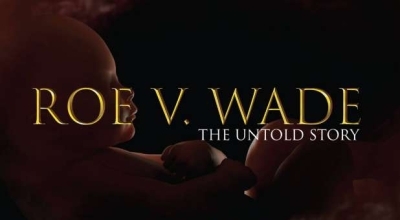 Can ‘Roe vs Wade’ film overturn US Supreme Court ruling that’s killed 54 million babies? Home � Arts � Film & TV � Can ‘Roe vs Wade’ film overturn US Supreme Court ruling that’s killed 54 million babies? Since the Supreme Court’s 1973 Roe v Wade decision, over 54 million babies have been aborted in the U.S. The country remains divided over the issue of abortion, making Roe v Wade arguably the most controversial Supreme Court decision in history. Plenty of movies and documentaries have been made about the ruling, but a new movie coming out called Roe v. Wade may be the most pro-life depiction of the story yet. And even better, this film promises to tell the truth about what really happened. When someone asked Nick if he wanted to make a film about that Supreme Court decision, he thought, Why would I want to make a pro-choice film when I’m pro-life? But after reading 40 books about the ruling’s history and studying stacks of court documents, Nick realized he had to make a movie about it. The film is still in post-production, and a potential screening is scheduled for the National Religious Broadcasters convention this summer. But a teaser trailer just came out, which you can watch here. Nick is clear about the film’s goal—he wants it to stir people up to overturn the abortion ruling. I’ve seen the trailer, I’ve read the articles, and I know some of the people involved. So I’m very hopeful that this will be a big movie. But one thing is certain—it won’t be big because of the media. The makers of the Roe v Wade movie have encountered all kinds of hindrances in trying to advertise, and as Nick pointed out, the bias is disheartening. But I encourage you to join with other pro-life believers and start a groundswell. Let’s get involved. Let’s make up our minds that we’re not only going to see the film, but we’re also going to take people to see it. I pray that, together, we will make this movie a success, because I believe this film has the potential to make a huge impact on our culture. Be sure to listen to my entire conversation with Nick by clicking on the podcast below, and support this venture by sharing my article as well as liking and following the film’s Facebook page. Together, we can make a difference.